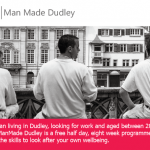 ManMade goes the extra mile to help men in Dudley realise their full potential. Commissioned by Dudley Metropolitan Borough Councils' Office of Public Health, ManMade is a forward thinking programme that supports men between the ages of 20 and 60 to realise their full potential – a tailored 8 week programme providing participants with the skills and knowledge to support their own health and well-being. Forward For Life, in partnership with Common Unity and Associates are empowering men to have the strategies and coping skills to manage the challenges they may experience as a result of job loss including reduced financial income, loss of time structure, isolation, loss of purpose and changes in identity and relationship status. Through a range of approaches, this project enables men to talk about some of the issues they may have faced since being out of work and address some of the obstacles affecting men being able to talk about how they feel and seek help for these challenges. The programme seeks to provide men with the coping strategies to manage distress that they may be experiencing as well as looking at how men can promote their own mental health and well-being through improved resilience. At Bloom in Health, our philosophy is to help individuals develop positive lifetime habits that will enhance health and wellbeing through exercise. 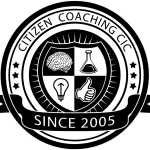 Community Wellbeing Solutions – providing effective and relevant training, workshops, engagement sessions and coaching ensuring people have the right tools to create and find the best support mechanisms to manage their lives. For more information on ManMade in Dudley or how we could help you deliver forward thinking programmes within your area, please get in touch, give us a call on 07585776800 or email us.